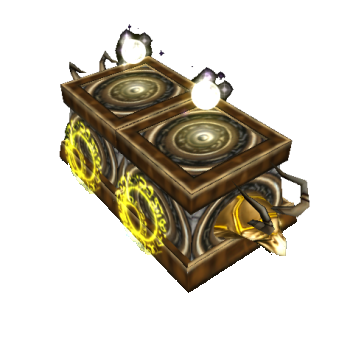 The only tank that gets gold not by destroying opponents, but rather by trading items at various objectives on the map. Buys items at the Trade Posts and sells all items at the Trade Master while trying to stay alive with various escapes and defensive abilities. Buys items at the Trade Posts and sells all items at the Trade Master. 50% of the reward is automatically distributed to allied players. Each level decreases the trades needed for a monopoly, which then reduces the cooldown of the trade post by 10 seconds. Monopoly trades reset after 2 minutes without any trade or when an enemy trades at the trade post. 1 - - - - Monopoly reached after 6 succeeded trades. 2 - - - - Monopoly reached after 5 succeeded trades. 3 - - - - Monopoly reached after 4 succeeded trades. 4 - - - - Monopoly reached after 3 succeeded trades. 5 - - - - Monopoly reached after 2 succeeded trades. Not limited to only one Trade Location at the same time. Makes the Trader invisible and 25% faster. 1 11 30 sec. - - Lasts 2 seconds. 2 22 30 sec. - - Lasts 3 seconds. 3 33 30 sec. - - Lasts 4 seconds. 4 44 30 sec. - - Lasts 5 seconds. 5 55 30 sec. - - Lasts 6 seconds. Teleports the Trader to a targeted area. Creates a Magic Barriar around the target unit for 30 seconds that protects it from spell damage ( tank skills and weapons ). 1 10 30 sec. 1200 - Blocks up to 400 spell damage. 2 20 30 sec. 1200 - Blocks up to 800 spell damage. 3 30 30 sec. 1200 - Blocks up to 1200 spell damage. 4 40 30 sec. 1200 - Blocks up to 1600 spell damage. 5 50 30 sec. 1200 - Blocks up to 2000 spell damage. Causes an Energy-Shield, which makes the trader invulnerable for a short amount of time. 1 28 25 sec. - - Lasts 3 seconds. 2 35 25 sec. - - Lasts 4 seconds. 3 42 25 sec. - - Lasts 5 seconds. 4 49 25 sec. - - Lasts 6 seconds. 5 56 25 sec. - - Lasts 7 seconds.